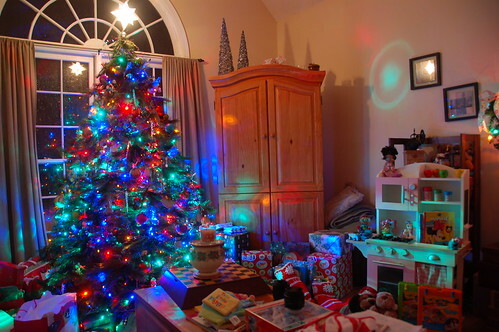 Christmas seems like it was months and months ago, but I just realized that we never posted any Christmas pictures here. We are such slackers. Grace loves the kitchen we bought for them. 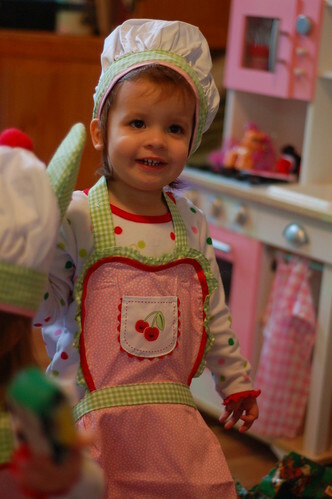 Here she is dressed up and ready to do some cooking for us. Erin LOVES Super Why. It’s her favorite show by far. This little guy is almost inseparable from her these days. 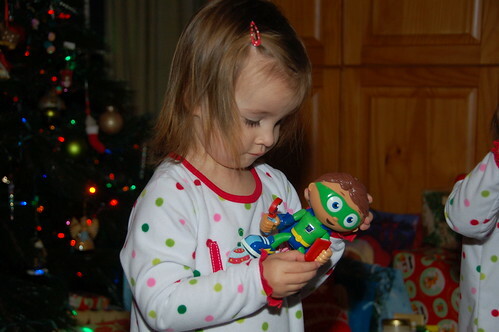 It’s too cute to hear her say “Super Why… the power to read!” We can only hope she grows up loving to read so much. All the decorations are away and all the toys have been played with, but we hope the spirit of Christmas is still with all of you. The birth has come and now we celebrate the life, death and resurrection of the Christ.